Those who have never been on a cruise, we are told that such myths as “I am swayed by boat” and “It’s very expensive,” – one of the main reasons why they have not yet been set off on a cruise! At the same time, how tempting advertising cruises that are often shown on TV and in magazines! 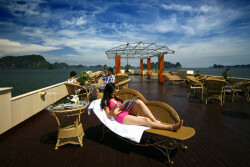 Children ride with water slides, or a romantic couple, watching boundless sea from their private balcony in the cabin. And of course, admired friends, just returned from a cruise and another telling of all its delights! If you are among those who are thinking about their first cruise, but have not yet decided on the trip, our consultant on cruises up to you 10 reasons why we love cruises! Cruises – a great way to relax for a reasonable price, because price includes almost everything you need for an unforgettable holiday: food, lodging, entertainment day and night, and the most important transport movement from one place to another. How much you’ll pay for one day of the cruise, will be much less than how much will need to pay for a hotel, dinner and entertainment at some resort. Many cruise lines offer children free holiday, or at a deep discount, if they live in the same cabin with parents. You want something poroskoshnee? 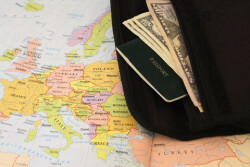 Some cruises include the cost even more: alcoholic and non-alcoholic beverages, gratuities, shore excursions, and more. On a cruise you have unpacked the suitcase only one time, and floating on the water, the hotel will take you from city to city, from island to island. And no worries! It is not necessary to run a train or ferry pull a suitcase across the street, or trying to catch a taxi in the middle of the night! Every morning you wake up in a new location. You can not decide between Italy and Spain, Barbados and Antigua? Why choose? 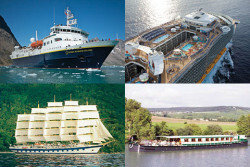 We will find you a cruise, where you can visit all the places in your wishlist! 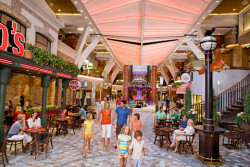 From toddlers to teens, from grandchildren to grandparents cruises are perfect for any age. If you can not find a place of rest, which would suit your 5-, 10- or 15-year-old child – and which at the same time it would be like for adults – the cruise a great solution. 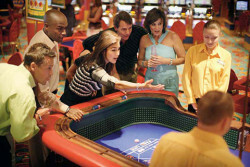 On board a huge range of entertainment, which are divided into zones by age. In adolescents, their “cool place” for entertainment, while the kids can quietly messing around in their game rooms – and of course, all this is far from the recreation areas “for adults only”. How could it not like a journey that provides entertainment for every member of the family (discos, bowling, computer games, swimming pools …), and at the same time offers to spend time with your family over dinner or during shore excursions? In the evening, parents will be able to get away for a romantic dinner, taking advantage of children’s clubs that run late. For some it will be the perfect mega-big ship, equipped with a climbing wall and an outdoor theater, some prefer small comfortable ship with a refined atmosphere, and someone wants to sail on a sailboat mast. Fortunately, all these kinds of cruise ships, there are! From a small barge for 12 people to ship 5,400 passengers. From minimalist to the refined luxury. And even ships to the Northern Expedition. Cruise ships are made so as to make everyone happy. Do you want to pamper yourself in the spa, while your partner plays in a casino? Or read a book in the sun while your family plays basketball? You can visit the training course, wine tasting, a computer class or dance class; paint pottery, play bridge, to teach the language or practice yoga; dine in a small bistro, a chic restaurant, sushi bar, diner or steakhouse; and watch a movie, a comedy show, talent show, or listen to live music. But if all you want to do on a cruise – it’s nothing until the ship comes in one port, then another, then it is possible! 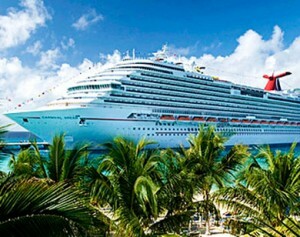 Cruises includes transportation and accommodation. That is why it is so easy to plan. Choose your direction, cruise ship cabin and go! No search of hotels in an appropriate price range, no planning of transfers between cities. You do not even have to waste time searching for the flight to the port, we will offer you the most convenient flights and transfers from the airport to the port of destination. Book a cruise for a group – simple. In the cruise companies have special offers for groups, and you do not have to spend a lot of time to coordinate the 20 family members and friends from different countries who want to spend a holiday with you. Book a sufficient number of cabins for all – and get extra bonuses! If you experience that yourself in a difficult situation on board, relax! 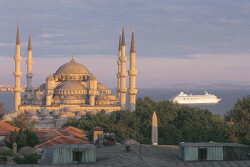 Cruise ships as a huge city, where there is everything you could wish for. On modern ships have Wi-Fi, mobile communication and satellite television, so you can keep in touch with the world on a cruise (unless you want to). Shops on board are selling everything you need, you might forget collecting bag, medical centers will provide the necessary medicine or medical attention, if necessary, to allow laundry to wash clothes in the middle of the cruise, so you do not have to take too many things with you. And of course, there is entertainment on board for every taste – gyms, a variety of restaurants, movie theaters, spas, swimming pools, theaters and discos. And in an emergency, always enough life jackets for everyone on board. Always wanted to visit Asia, but worried because of the language barrier? It is interesting to look at the Middle East, but are nervous about the local traditions? 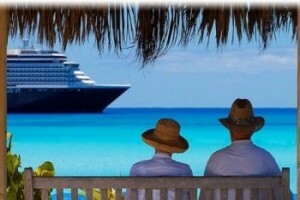 Cruise – one of the best ways to visit the most exotic places in the world in the easiest way. Different routes are offered to see big cities, small villages, which are the jewels of the region or country. And you do not have to waste time looking for places that are worth seeing in one or another country. If you are uncomfortable to explore a new city alone, simply join an organized tour for the group, or to new friends who met during the cruise. Travel through the water – what romance! Hair develop on a wind, endless ocean views, shimmering stars in the sky – all this creates a romantic mood. Cliche, you say. Yet these feelings you experience on board a cruise liner. If you want to re-ignite the spark with your favorite cruise gives you many opportunities to spend time together – a cocktail at the pool bar, dine in the cozy restaurant, a dance evening or spend time on the beach. 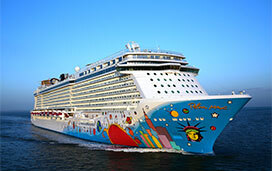 Cruise companies offer special packages for honeymoon and wedding on a ship or on shore. Cruise – a unique opportunity to meet new people. Due to the large selection of different activities and entertainment programs, you can make new friends is much easier than on other types of recreation. You will have plenty of opportunities – at the same table for dinner in the club with live music by the pool. Children will always find friends in age at the time of children’s activities, and will be able to spend time with friends while traveling. Looking for a soul mate? We have many examples of that strong relationship begins during a sea voyage.